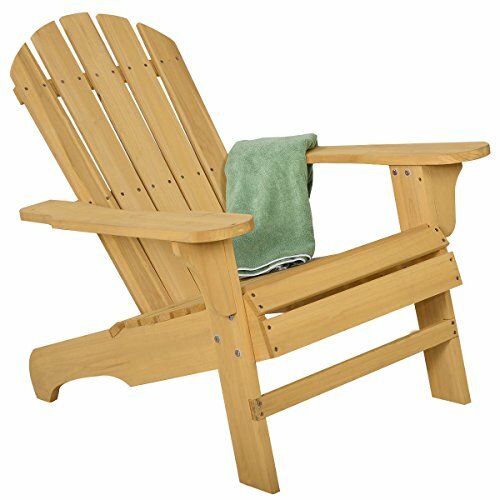 Beautiful and durable Adirondack Chair which is great for relaxing on the deck, porch or patio. Bulid from solid fir, this Adirondack Chair will hold up to the abuses of being used outside and retain its beauty. And its contoured seat and comfort back will keep you feeling good and provide you the extreme comfort. Overall dimension: 29.5"X35.8"X32.6" / Seat dimensions: 20"X16.9"
Back rest dimensions: 16.5" X28.3" / Arm rest dimensions:29.9" X5.5"
Height from the ground to the arm rest: 19.8"